Anyone autonomously moving in geospace is a pedestrian. This term denotes a large but heterogenous collective unified by similar strategies and speed of movement. Pedestrian navigation typically is an outdoor activity in public space. It is a banality that pedestrians do not move and navigate like motor vehicles. Yet to date, geospatial data and navigation systems to assist pedestrian orientation and movement are mainly based on car navigation data. Media to support movement and navigation of pedestrians effectively, however, require geospatial data tailored to the specific albeit diverse requirements of the targeted audience. In a feasibility study, a team of geoinformation and social scientists of Potsdam and Saarbruecken have assessed the status quo of existing data for pedestrian navigation and developed strategies to create and maintain a geospatial data base for pedestrians. 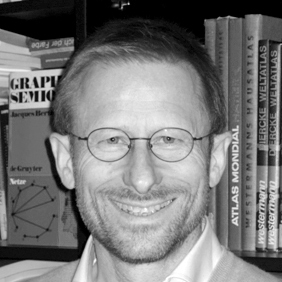 Hartmut Asche is a professor of geoinformation science at Potsdam university. His research foci include data acquisition, management and services for orientation and navigation in geospatial environments.